Philipp Westermeyer is a Rockstar. And he belongs to the family, in every way. He would probably describe himself as an entrepreneur from Hamburg and a man of action in media and marketing. We could leave it at that. One could, of course, mention that he created one of the most important platforms for media and digital marketing there is: Online Marketing Rockstars. That his festivals, like the Online Marketing Rockstars Festivals 2017 coming up on March 2nd and 3rd, belong to the greatest and most inspiring formats you can and should visit in Germany. That not only is he incredibly clever and fast when asking the right questions, but he knows how to answer them gracefully and honestly, as our little interview shows. That he, as father of twins, also functions in double player mode in private. As we said, one could mention all that. Or we can just let him speak for himself. Here, down below or via the Online Marketing Rockstars Podcast. Because you can listen to that for free at iTunes and Soundcloud. P.S. If you want to give Philipp cordless ear phones now (see below), please make sure to coordinate that with all other possible candidates. Otherwise he’ll end up with three pairs. Someone who does things differently than most others would. Sometimes because he has talent, sometimes because he has ambition, sometimes because he has neuroses, whatever. Back in the day when I used to drive to the station with my father to buy magazines. That’s when ‚Media and Marketing‘ became my thing. What is the biggest problem of your generation? What will change in digital marketing in 2017? 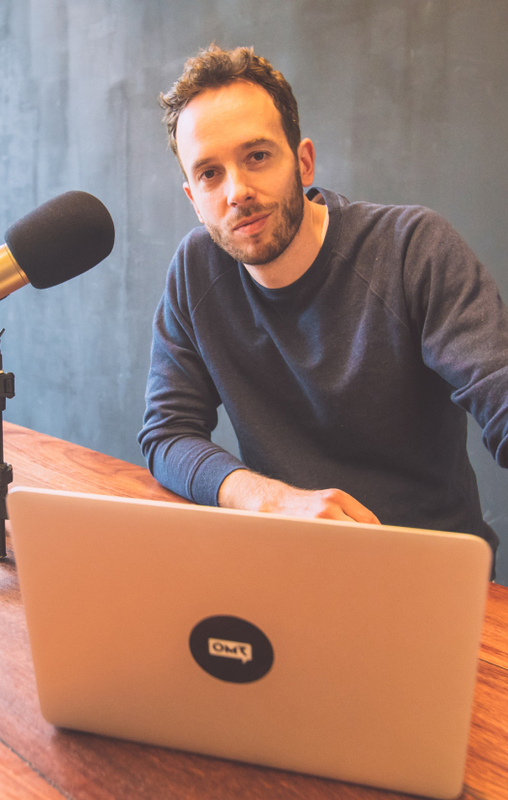 Hopefully more advertising in podcasts, in our own at best… probably joined by a better understanding of content marketing, everyone is trying out and learning there at the moment. Do you prefer being host or participant? Both, I do enjoy being host but I also really like going to events. Which company would you have liked to have founded? Very many… From the big film studios in the US to modern companies like Xing. Many things about the interface between media, entertainment, networking and marketing are exciting. I like observing US entrepreneurs that aren’t that well known here yet, for example Peter Guber. What can we twist you around our finger with? Good content, no matter the topic. I’ve never thought about that, but if there’s something I can help people with or make the world a better place, I’ll take that. What’s your desktop background on your computer at the moment? Oh and, PC or Apple? Or does one just ask Android or iOS now? I came to Apple about two years ago. Do you have any ideas for presents? Tickets for the OMR 2017 for business partners maybe? ;) Personally, I would like some cordless earphones with a microphone, probably quite popular at the moment. What would you cook for us if we came to visit you at home? I’d order something at my favourite Korean restaurant. When was the last time you tried something new and what was it? What would you change if you had the power to? Probably something to do with the communication between cultures or environmental issues. Luckily, I’m very content with my own life, so it would be a greater topic. What should no one know about you? There are many people in Hamburg that believe I used to be a good football player once, because I’m okay at indoor football… Let’s just say they shouldn’t talk to my old friends from home about that. What question should we have asked? I like thinking about the future of marketing and media, you were a bit coy there.